If you are searching for some entertainment to beat the July heat, TDS TV On Demand offers a host of new films for your viewing pleasure. We’ve got arty drama, sci-fi action, music, comedies and a whole lot more to get you through all the hot days. 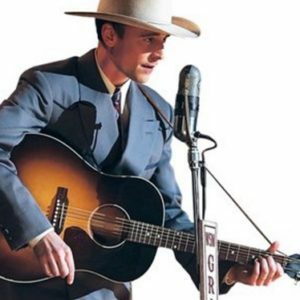 Tom Hiddleston stars in this biopic of country-western legend Hank Williams. 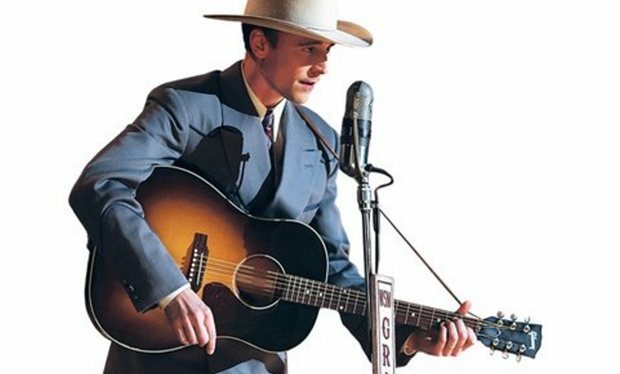 There’s a lot to like in the film, especially Hiddleston’s committed performance, not to mention the music, but on the flip side, “I Saw the Light” has a predictable story and doesn’t dig deeper into what made Williams one of America’s most influential musical talents. Elizabeth Olsen co-stars as Williams’ first wife. Available July 5. Brad Pitt and Angelina Jolie (who also directed) star in this moody film about a couple whose marriage is slowly sinking into nothingness. “By the Sea” harkens back to the art films of the 50s, 60s and 70s – beautiful, deliberate, introspective and often times painfully human. Available July 5. Set against the backdrop of the Cuban Missile Crisis in 1962, “Dear Eleanor” is a quirky coming of age comedy about two teenage friends who travel across the United States in 1962 to meet their childhood hero, Eleanor Roosevelt. Available July 5. With the title of “Demolition” you might expect an action film—but you will instead find a complex tale of loss and recovery. Jake Gyllenhaal gives a excellent performance as a successful, but shallow, banker whose world collapses after the death of his wife. He finds he must destroy his former life if he is to find meaning and move beyond the consequences of death and loss. It is a heavy and sensitive film, but worth the journey. Available July 12. “The Allegiant” is probably the weakest of the series (it could have used a dose of levity and humor), but if you’ve enjoyed the ride thus far, you can jump on board for another run. In the third of the “Divergent” films, Tris (Shailene Woodley) and friends set out to discover what lies beyond the walls of Chicago—the only city they have ever known. Available July 12. Unconventional film about a group of college athletes players navigating the world of adulthood. “Everybody Wants Some! !” is sort of an aimless, charming slice of life that takes place over a weekend in 1980. The film is written and directed by Richard Linklater, who created “Boyhood” and “School of Rock.” Available July 12. A girl suffering from a life threatening illness suddenly finds herself cured following an accident. “Miracles From Heaven” is a wholesome, inspiring and crowd-pleasing tale buoyed by star Jennifer Garner’s excellent performance. Based on a true story, the movie avoids the heavy handedness that often accompanies religious-themed films. Available July 12. A staff of eccentric experts, lead by the enthusiastic Danny “The Count” Koker, find and restore classic American cars and motorcycles. “Counting Cars” is consistently one of the most enjoyable reality shows on television. The season kicks off with a pair of new episodes on Tuesday, July 5, on History. Bassam “Barry” Al-Fayeed is a pediatrician in the United States with a loving wife and two children. He is also the son of a notorious Middle-Eastern dictator. Having escaped his family’s brutal legacy, he is drawn back into a deadly world of corruption and brutality when he returns to his native land after a 20-year absence. “Tyrant” is a fascinating drama, uneven at times, but always watchable. Season two debuts Wednesday, July 6, on FX. The long running medical drama/comedy wraps up an eight-season run with a finale that has Hank contemplating a move from the Hamptons. Catch the series ending on Wednesday, July 6, on USA. New eight-art crime drama based on the acclaimed BBC series “Criminal Justice.” John Turturro stars as a world-weary lawyer hired to defend a naive Pakistani man accused of murder. The show painfully displays the bigotry and flaws inherent of the NY criminal justice system. Sunday, July 10, HBO. Horrible people have never been so funny. “Difficult People” is sharp and caustic – just like stars Julie Klausner and Billy Eicher. The two play wannabe stand up comics who become more and more bitter about the world. It’s sort of a jaded version of “Seinfeld.” Season two kicks off on Tuesday, July 12, on Hulu. One of last year’s most critically acclaimed shows returns for a new season. 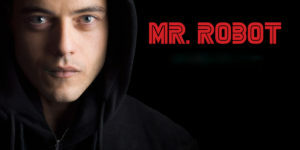 Rami Malek plays a slightly unhinged vigilante hacker helping bring down corporate America. Malek was a revelation as the brilliant but troubled young man who must now come to grips with the decisions he has made. 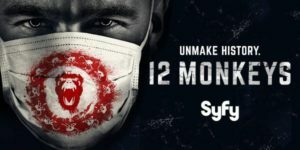 Season 2 premieres on July 13 on USA Network. ESPN brings us a new “30 for 30” documentary, this one chronicling the ups and downs of former New York Mets stars Dwight Gooden and Darryl Strawberry. This installment comes from directors Judd Apatow and Michael Bonfiglio. “Doc & Daryl” debuts on Thursday, July 14, on ESPN. The hilarious Danny McBride returns to TV in this collaboration with “Eastbound and Down” producer David Gordon Green. McBride and Walter Googins star as rival vice principals who will do anything to get the top job at their high school. HBO is so confident about the comedy, they have already renewed it for a second season. Series debuts Sunday, July 17, on HBO. “Nashville” has been resurrected by CMT. Stars Connie Britton and Hayden Panettiere are set to return for a fifth season. HBO has reversed itself and canceled the costly “Vinyl.” The series had come with high hopes (it was produced by Mick Jagger and Martin Scorsese), but failed to click with audiences and critics. “Daily Show” correspondent Jessica Williams is leaving the show. She has a development deal with Comedy Central. “Harry Potter” star Tom Felton (aka Draco Malfoy) will be joining The CW’s “The Flash” as a regular next season. Netflix is remaking the classic sci-fi series “Lost in Space.” Watch for a 2018 debut. Yankee Doodle Dandy – Warner Bros.